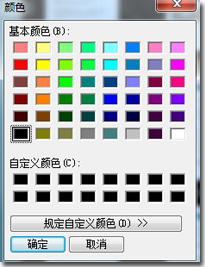 Q:How to change the color of flash window for the sake of matching the theme? The default color of the flash window is black. It always doesn’t harmonize well to the theme. I really want to change it to make beautiful flipping e-book. But I can’t find the way to make it. Would you be so kind to tell me the process? In order to meet users’ requirements, we repeal the limitation so that our users will be able to design their own favorite flipping e-book. The following tips will help you. You can find “Flash Window Color” bar in the left panel. Click the apostrophe icon to open the “color” window, I believe you can find your favorite color there.